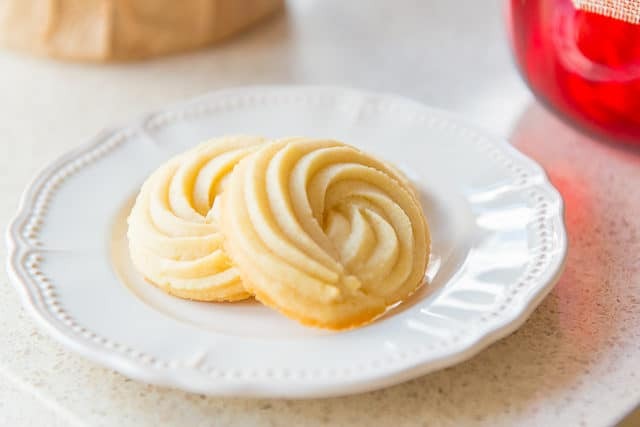 These Shortbread Cookies are deliciously crisp and buttery in a classic way, and are especially wonderful for Christmas and holiday baking! 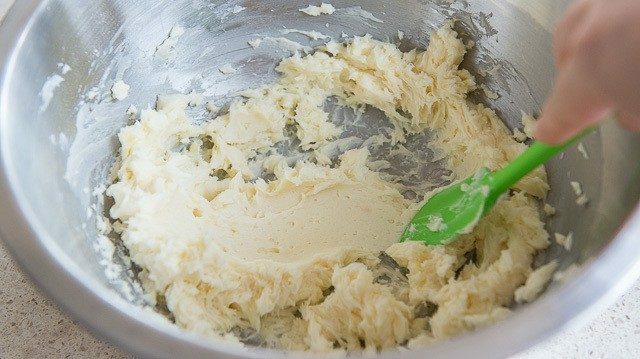 The dough is easy to make using five simple ingredients. Dare I say that these are my favorite cookies ever? There are all sorts of stunts out there with cookies, like stuffing dough with Rolos and other odd things, but it’s hard to beat classic, buttery shortbread. These cookies are reminiscent of the Danish butter cookies that come in those blue tins around Christmas time. I have such a nostalgia for those cookies, as they always appeared in our pantry during the holidays of my childhood. What’s most funny about them is there are always several different types, but it’s all the same dough, just baked in different shapes. It really shows how much the shape and texture of the cookie can change the experience. 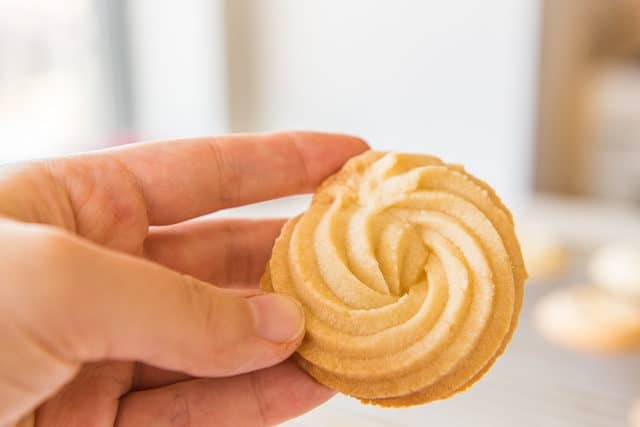 The circular swirl cookies were always my favorite in the tin. 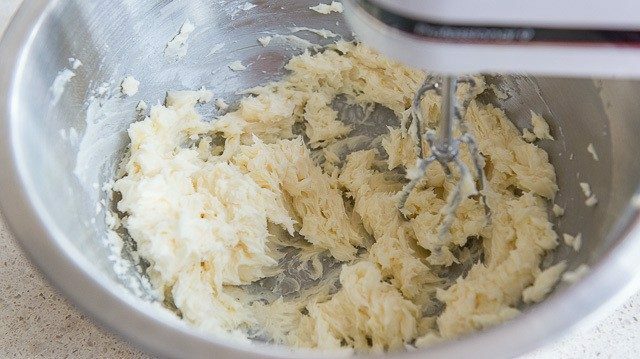 Because these cookies are so simple, it’s important to use a really good butter. I usually opt for European Style butter, which has a higher milk fat content than the cheaper butter. The whole point of these cookies is that you get a crisp, buttery experience where the sweet cream flavor of butter really comes through, so it’s worth the little bit of extra money to get the good stuff. One thing I love about these cookies is they are very forgiving with regards to piping the dough. You’ll see below in my process shots that I’m not the best piper in the world (okay, I’m actually pretty terrible at piping, which is why I’m not a cake decorator), but the cookies still bake up and spread beautifully. 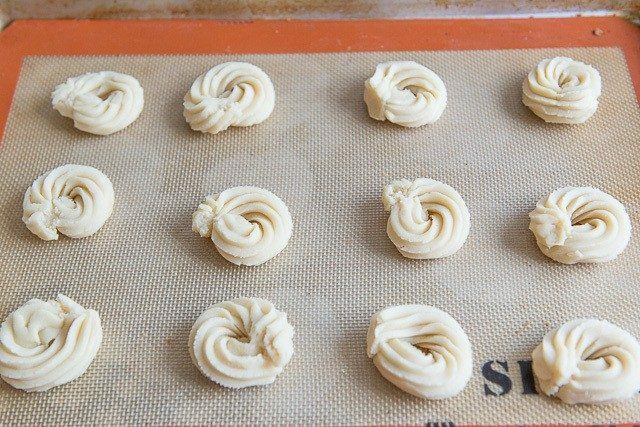 Any flaws in piping smooth out as they bake. These cookies are also very sturdy, which makes them great to be shipped or gifted to friends and family. When I do that, I’ll usually include some plain ones, plus some dipped in white chocolate, and some dipped in dark chocolate. You can even add sprinkles or whatever you’d like to jazz them up. Not that they need jazzing. They’re delicious plain too! Ideally, you want to use salted butter. Shortbread is the only instance in baking where I now use salted butter. If you only have unsalted, that’s completely fine, you can simply add a pinch of salt with the flour. This is what I used to do, but once I started using salted, I liked it a lot more. When adding salt yourself, the salt never really dissolves or disperses as well, whereas using salted butter ensures even seasoning. What I like about the mat more than parchment paper is that the mat is nice and heavy, so it’s easier to pipe onto it. When using parchment, sometimes the paper wants to lift up with the tip. Bake until golden on the edges, then let the cookies cool completely. The full recipe is below, and I have a full video as well if you want more guidance. For the holidays I also love these Chocolate Crinkle Cookies, Pistachio Snowballs, and Snickerdoodles. If you want to do some decorating, these are the Best Cutout Cookies for that. 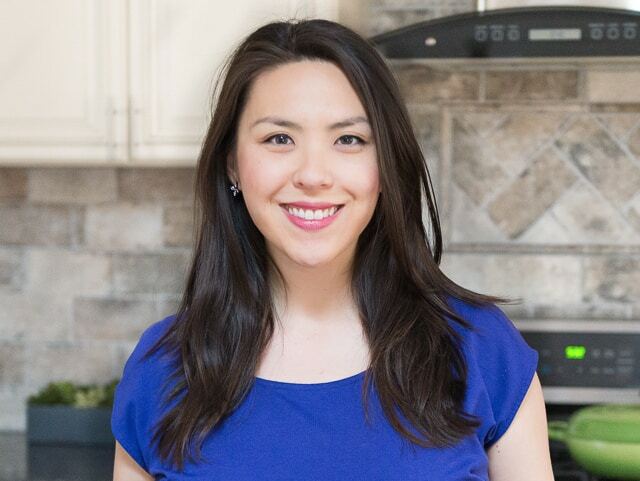 For more cookie inspiration, visit the Cookies section of my recipe index. 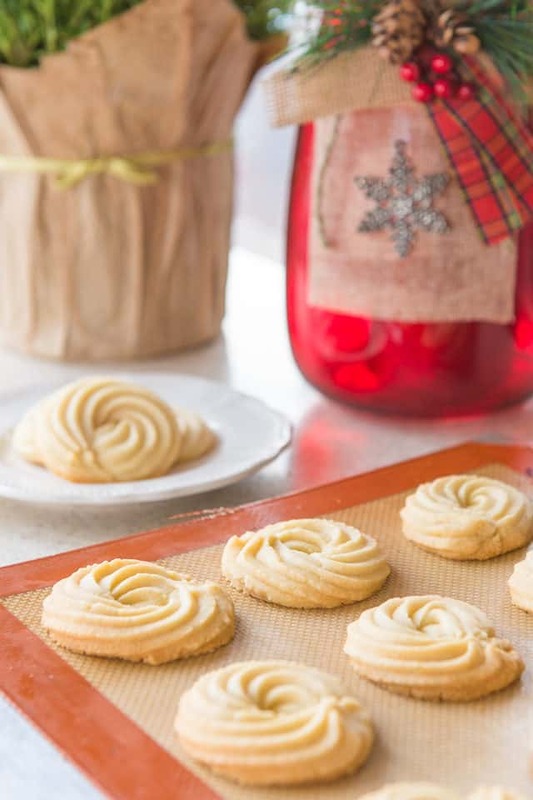 Can shortbread cookies be frozen? Yes, they freeze beautifully! Store in an airtight container or bag for up to two months. Can shortbread cookies be made with brown sugar? Brown sugar is usually added for chewiness, which you don’t want here. These are supposed to be crisp and crumbly. So, I don’t recommend brown sugar. 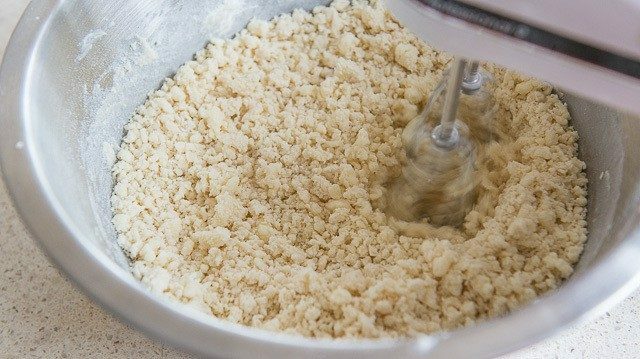 Can shortbread cookies be made ahead? Definitely! And these honestly don’t taste best when they are freshly out of the oven. You want to let them cool completely, ideally for a few hours. 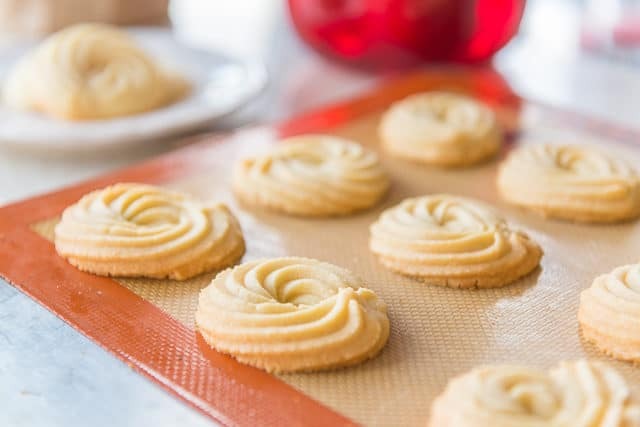 How to store shortbread cookies: Let cool completely, then store in an airtight tin at room temperature for up to two weeks. 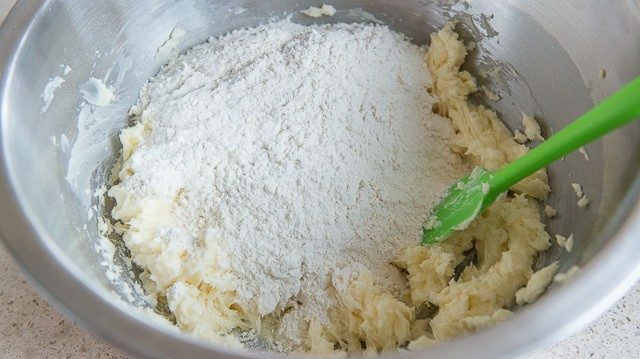 If the cookies spread during baking, this means the butter warmed up too much while you were working with the dough. 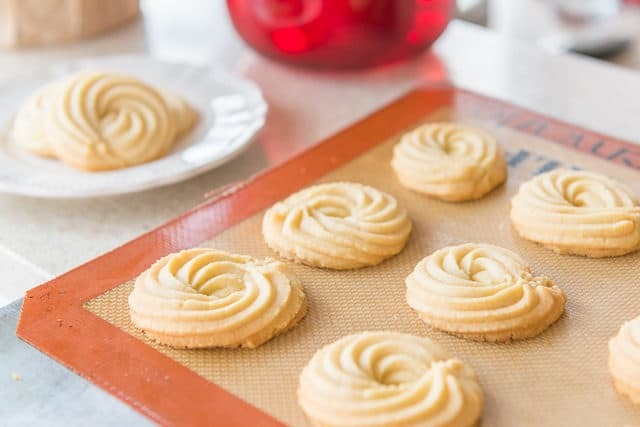 Next time, pop the tray with the piped cookies into the fridge or freezer until the cookies are firm to the touch and chilled, 15-30 minutes, then bake immediately. Post updated in September 2018. Originally published December 2015. This post contains an affiliate link. I made these cookies and they were a hit! Have you tried adding cocoa powder to make chocolate flavoured shortbreads? If so, how much would you recommend adding? You would decrease the amount of flour by the same measurement of cocoa powder you want to add. They are just an even substitution. How much cocoa powder you want would depend on personal taste. Start w 1/2 – 1/3 cup and make a note for the next time if you want to increase or decrease amount of chocolate flavor. (make sure you are using the same type of cocoa for accurate results you are looking to get). I made these llate last night to satisfy a cookie craving. I had no eggs so I wanted a good shortbread recipe. So glad I used this one! Cookies turned out perfectly! I used room temp butter that wasn’t soft (my room temp hovers around 65°F). I only used 1 Tbs of milk so the dough was waaaay too firm to pipe, especially without a big enough star tip. I rolled them out between 2 sheets of parchment paper and cut them into 3×1 inch cookies and froze them for about 10-15 minutes before baking. I tried to let them cool for a few hours but, like I said I was satisfying a craving so, I ate one as soon as they were cool to touch. It was so yummy then but, as stated in the recipe, they were even better after a couple hours. 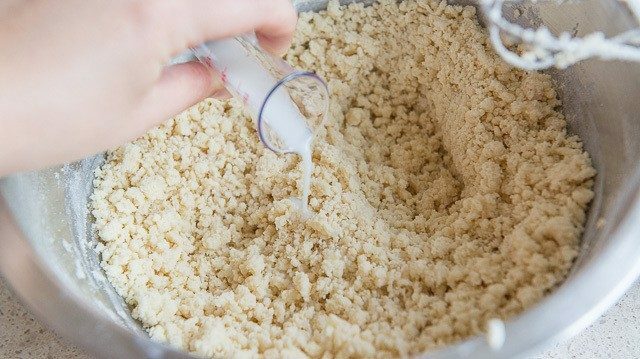 This will be my new go to shortbread recipe. Next time I make them I’ll use more milk so I can pipe them into the pretty circles, which might be sooner than i care to admit! Could you substitute Splenda or some other fake sugar for confectioners sugar to make these more diabetic friendly? Would that change the texture too much do you think? 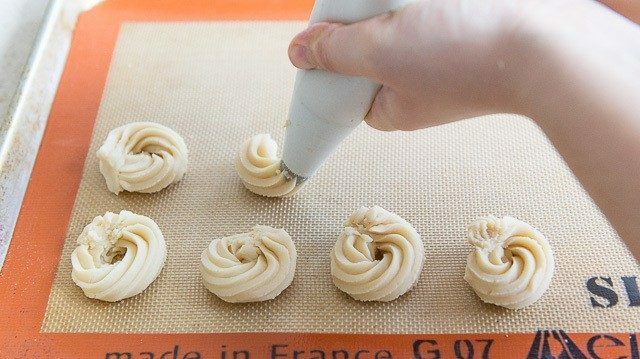 Is it possible to roll out and use cookie stamps for this recipe? Yes, I was able to do that and they turned out perfectly! This was my first time ever making a successful shortbread cookie which held its shape AND tasted amazing! 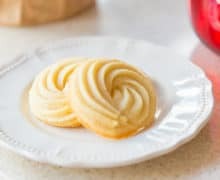 These cookies taste just like, if not better than Danish butter cookies and it was so easy to make! I followed the recipe almost exactly, used salted butter instead of using unsalted and then adding the salt later. 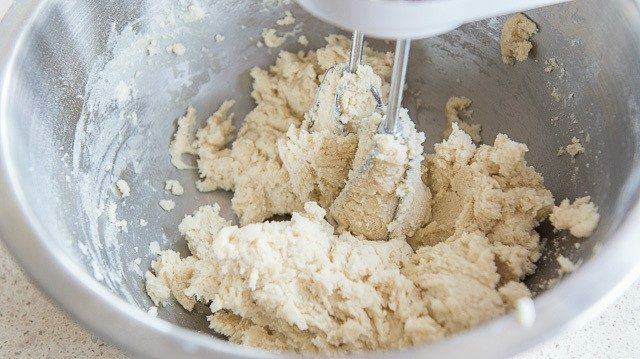 I actually used cookie cutters with this batter and I was able to do so because I chilled the dough for 10 minutes in the freezer before I began working with it. What I think also helped was the fact that I worked with it in small batches at a time and kept the rest in the freezer. All in all this is a quick and easy recipe that produced results far beyond my expectations.